The Minister of State for Petroleum Resources, Dr. Ibe Kachikwu, has vowed to resign if the country fails to attain self-sufficiency in the refining of petroleum products by 2019. Kachikwu, who spoke as a guest on BBC Hard Talk in London on Monday, also stated that he recently signed an agreement with the international oil giant, Agip, for the firm to build a refinery in Nigeria. Kachikwu was also told by his interviewer that the industry was totally dysfunctional considering the fact that Nigeria exports crude oil and imports refined products despite having refineries, but he stated that efforts were being made to revive obsolete facilities in the sector. 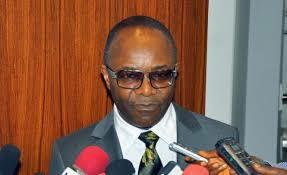 Kachikwu said, “Let me say this; yes it is wrong, we ought to process rather than ship out crude. But look at all the efforts I have made in the last few months, including working with investors to begin to reshape the refineries that were comatose for many years. He added, “I’ve delivered on everything I promised when I came into office. First, I took the NNPC and moved it into a profit-making organisation, which was the first time in history. I removed cash call deficit of over $6bn and we renegotiated it. Everything that I promised, I’ve delivered and I will deliver on the refineries; I’m committed to that. The minister stated that oil prices would not “hit the roof again” as was recorded in the past, adding that this had provided an opportunity for Nigeria to get serious. Kachikwu also stated that the Central Bank of Nigeria, through its monetary policy, had been able to force a lot of citizens out of the consumption culture, a development he said had strengthened the naira considerably. On the slump in crude oil production in Nigeria, the minister said the activities of militants in the Niger Delta led to the decline in crude output and denied claims that the Federal Government was buying off the restive youths in the region through the payment of huge sums to them. He stated that over $40bn had been sunk in the Niger Delta in the last 10 years and that nothing tangible was on ground to show for it.